Uldale Force is the highest and most impressive of a lovely series of waterfalls that can be found on the River Rawthey as it flows through Uldale. 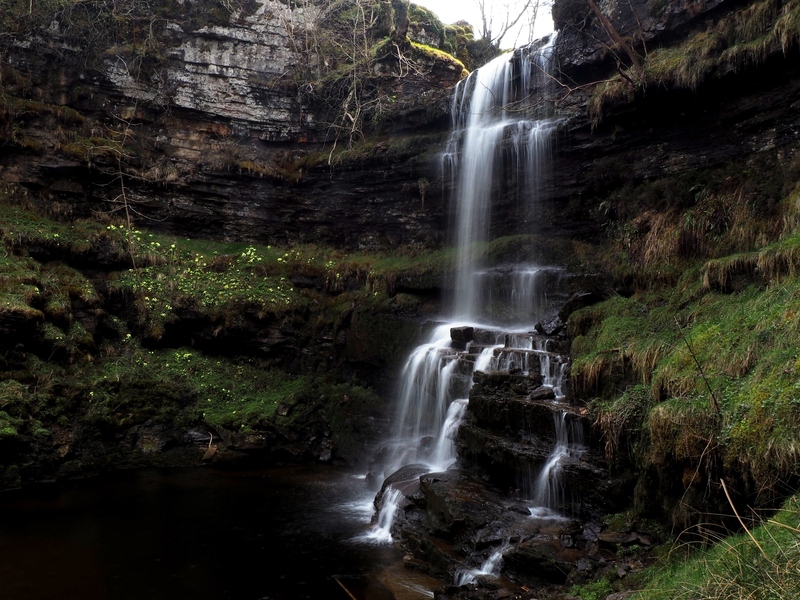 Visiting Uldale Force is a rather tricky proposition. It sits in a deep ampitheatre of rocks and steep grassy slopes which, in season, are covered with primroses. To get a good look at the waterfall requires either a scramble down the banks or a similarly adventurous approach up the river. Both alternatives come with a certain amount of risk and are not for the faint hearted. On my visit I took the river option, using the path where possible and scrambling over a few of the lower waterfalls along the way. It was an exciting and in places adrenaline filled outing. 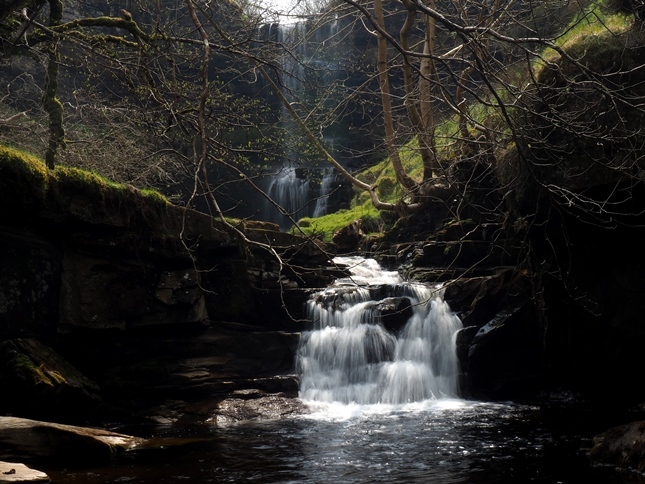 Unfortunately when I finally arrived at Uldale Force it was to find the sun shining down directly behind the waterfall which made photography rather difficult. I exited by climbing up a steep grassy rake on the northern side, not a route I’d recommend when wet! 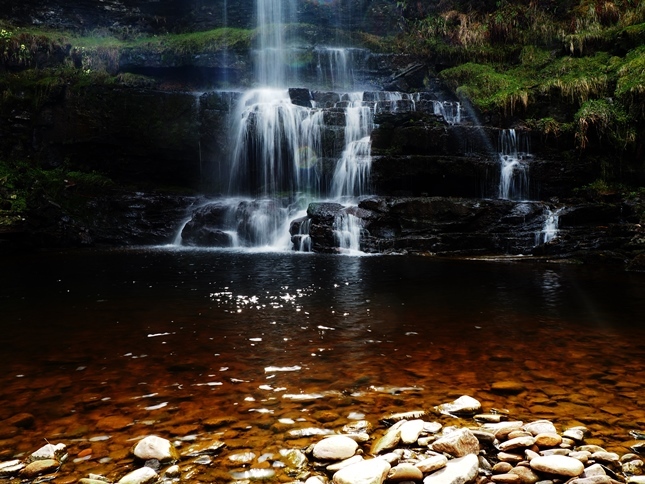 The difficulties in reaching the waterfall make one appreciate Uldale Force all the more upon reaching it. At the foot of the waterfall is a nice pool which looked perfect for cooling the feet on a hot day.